Here's a small sample of what we've been up to! 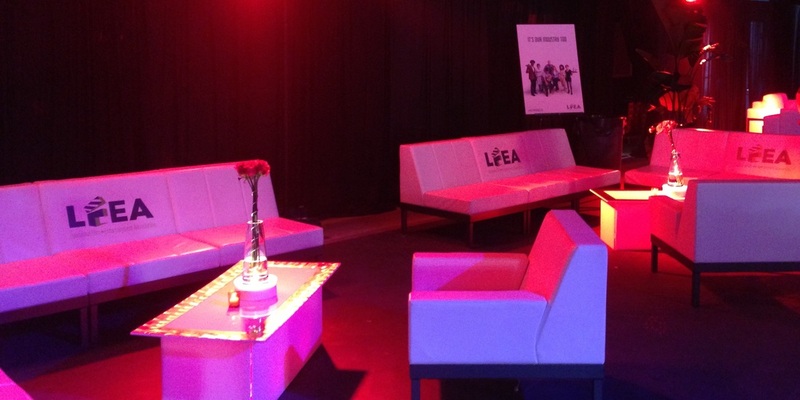 When the LFEA needed to put on a event to save the Louisiana Film Tax Credit, they called upon the expertise of Kellie Mathis at Tchoupitoulas and Vine to put together a award winning event. Knowing that they would need a production company that would go above and beyond, Tchopitoulas and Vine called upon Omega Production Resource to bring their design to life and create an outstanding event. Omega Production Resource bands with RZI for a trade show booth in Biloxi MS. Need some help with a booth? 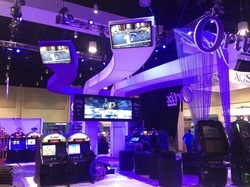 RZI and Omega Production Resource worked together combining first rate equipment and professional expertise to create a first rate booth that grabbed attention and interest through the entire hall. Looking to do a show anywhere in the country? We Can Help! Omega Production Resource LLC was called upon by partnered company ATX Event Systems to assist them with a general session in Denver CO. ATX's topnotch equipment and crew, combined with O.P.R. 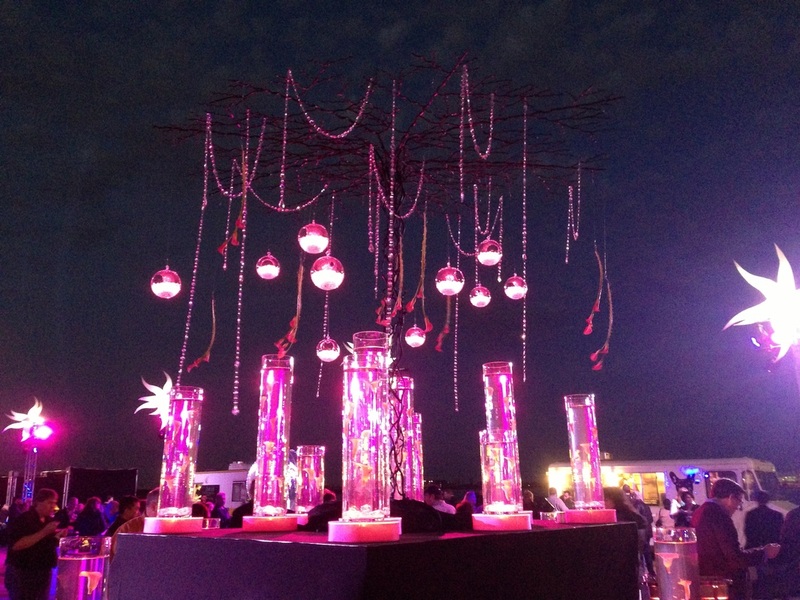 's experience and oversight created a seamless event that exceeded expectations. When event designer Kellie Mathis needed production for the 2013 Microsoft Convergence event at the New Orleans Aquarium, she called upon See-Hear Productions and Omega Production Resource to partner up and provide a one of a kind look for her event. Need to Light a Tent? Omega Production Resource was called upon by partnered company ATX Event Systems to light the Ducati tent for Moto GP in Austin TX. Omega and ATX combined resources to design and implement a lighting, audio, and video system that placed the tent in a league of its own. 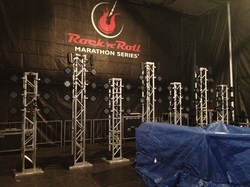 See-Hear Productions calls upon Omega Production Resource to help with the Rock and Roll Marathon. Ever find yourself swamped with shows? See-Hear Productions did, and they called upon Omega Production Resource LLC to help them. Omega ensured the show was up to See-Hears high standards of quality, and made sure the show went off without a hitch. 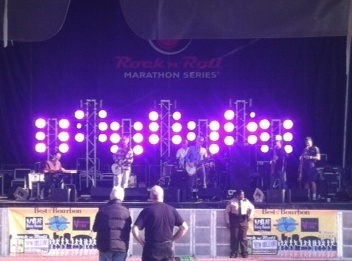 With lighting designer Lorena Murray at the console, the LED lighting rig rocked the main-stage! Hosts Global Alliance had some concerns about their event in City Park, so they called upon Omega Production Resource to ensure that all the technical technical aspects of their event ran smoothly. Working with The Solomon Group, the event production company, the event went off without a hitch. Corporate Lighting needed a Lighting Designer for the 2013, 610 Stompers Ball at the Sugarmill. James Moore, owner of Omega Production Resource, was more than happy to help with this unique event.